« “We may be slow, but we’re not stupid.” Right? The team here at T.O.F.U. are proud to announce the next recipient of the T.O.F.U. Grant! The grant aims to support a great organization or person who is putting considerable time and effort into promoting the ethical alternative, and is funded by a portion of our advertising revenue. After a great piece in issue five, it seemed fitting to choose Jo-Anne McArthur as the issue’s grant recipient for her amazing work with We Animals. For over ten years now, Jo-Anne has been working to connect people with the animals who share the planet with us. Jo-Anne has documented both abuse and love between humans and other animals around the world, and with her lens she is helping to change things for the better. Although the T.O.F.U. Grant comes with no specifications on how the money should be spent, we are confident that Jo-Anne will put it to good use, and we are proud to be a part of any challenge she takes on. 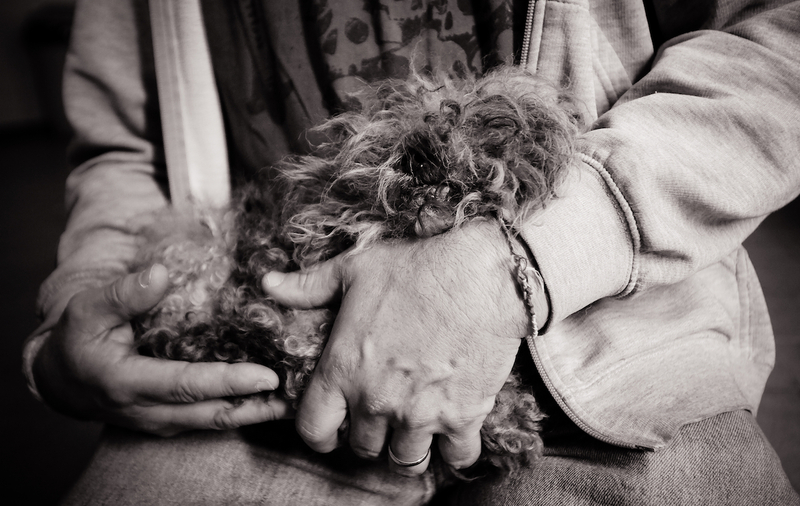 There are more puppy mills in Quebec, Canada than anywhere in the world, second only to China. They are largely unregulated and lax animal welfare laws make it next to impossible to regulate these operations. The Humane Society and Montreal SPCA are working to close these operations and raise awareness about them and about what you are really supporting when you buy a cute little puppy from a pet store. I look forward to continued work with them, in order to help their campaign and to also raise awareness about puppy mills through the We Animals project. In this photograph, a male poodle mix has been rescued and brought to the SPCA shelter. He hasn’t yet been groomed and a lot of his mouth and jaw have rotted away due to bad food and lack of hygiene and vet care. He was given medical care, a foster home and eventually a forever home. 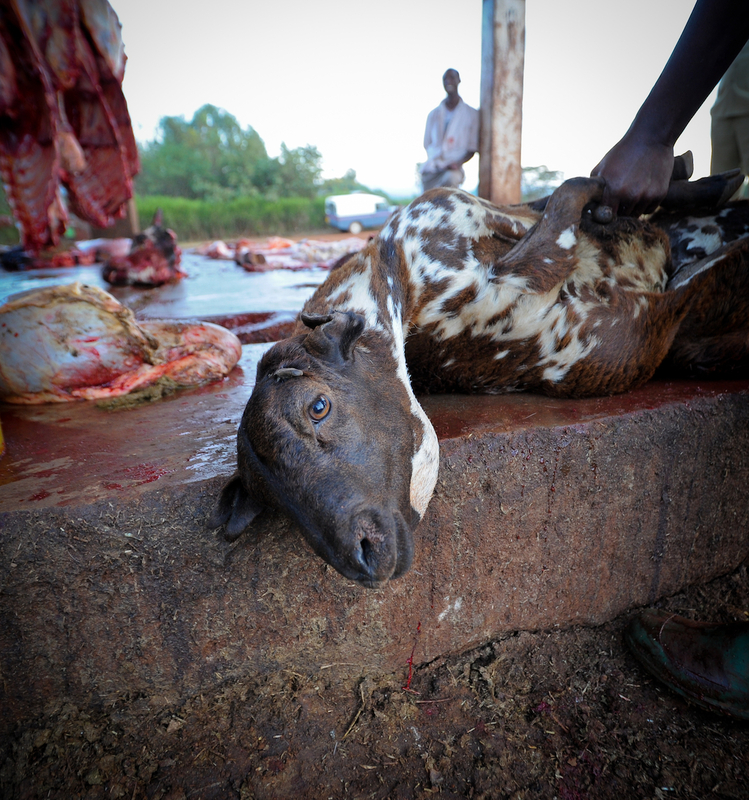 In this photograph, and about the “slaughter” story in general…. After shooting at many places and situations where animals are killed, I’m piecing together a small project within We Animals that looks at animals at the moment of death, as well as the moments leading up to their death. The purpose is to show that no matter what country, no matter by blade or gassing or electrocution, no matter if they were raised in a factory farm or pasture-fed as “humane meat”, each animal must face an involuntary and painful death. We, as consumers, should be aware of this when making our food choices. Mammals, birds and fish of all kinds are overlooked in aquariums which, like zoos, only offer their captive animals cramped space and limited enrichment. I’ve recently shot at SeaWorld in Florida and will be shooting at more aquariums in Canada and the USA throughout this year in order to raise more awareness about this type of captivity. 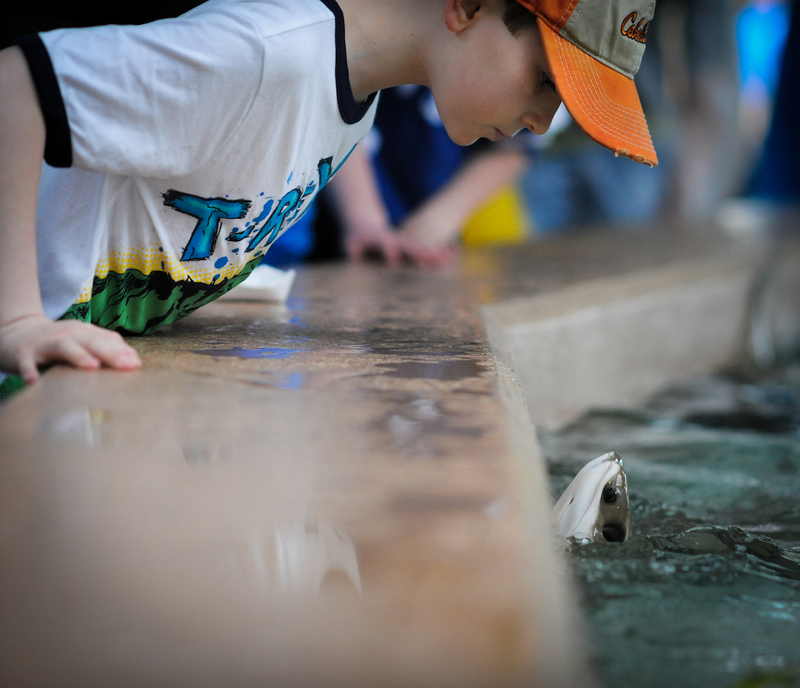 In this photo, a young boy looks at a sting ray in a tank, and the ray looks back, or more specifically looks for food. The rays are turned into beggars as they swim in circles all day in their cramped space and people buy other fish to feed them for entertainment. Sting ray tanks are increasingly popular at zoos, even though it is only beneficial to the humans who are amused by them. Sting rays live short lives in tanks. At Canada’s Calgary Zoo, all of the string rays “mysteriously” died within a few days of one another after the sting ray exhibit was opened. For more information, please see We Animals. To support Jo-Anne and the We Animals project, please consider making a donation.